If you have a new network and would like to have full international access for SMS, or your subscribers are complaining that your SMS coverage is not international enough, then this is the time to consider our SMS services, which provides full international access in less than two weeks. Our Wholesale’s SMS service allows you to grow your traffic and revenue without the hassles of bilateral agreements. It only takes one single connection to our SMS Center to extend your global reach. Access to more than 450 operators in more than 200 countries worldwide using any wireless standards (i.e. 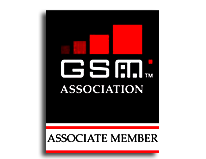 GSM & CDMA). Ability of your customers to send national and international SMS. Single connection to our SMS Center via existing SS7 links. Cost and time effective solution for your person- to- person SMS service. Monitoring against Spam and unsolicited messages.